Spring may have started over a week ago, but for me, it's the daytime weekend street fairs and festivals that really make it count. 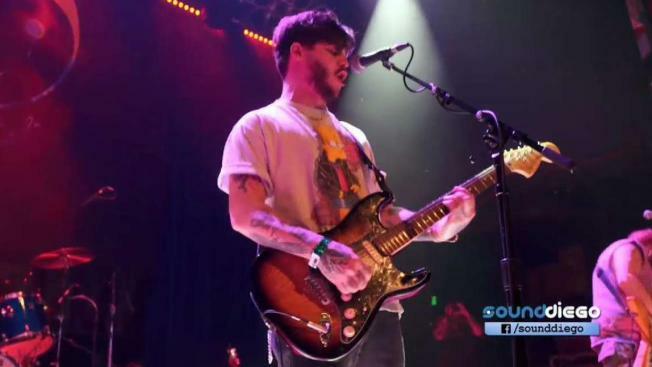 Today, Ballast Point hosts the Made in San Diego Block Party, and it has some of our favorite San Diego sons, including Wavves (Nathan is originally from here), the Donkeys, Mrs. Magician and Schizophonics. The tickets are a little confusing, because I believe there are free elements and beer tasting tickets, but either way, seems like a pretty fun way to spend a Saturday. That is, if you're not going to Vinyl Junkies Record Shack, where my bestie Jake Najor celebrates his album release with a free show at 3 p.m. As for nightfall, Donna Missal and the Driver Era are both sold out, but you can still catch some great shows including the Movielife at Soda Bar, Mark Sultan at Bar Pink or Citizen Cope at the Observatory. Stoney B Blues Band @ De Oro Mine Co.